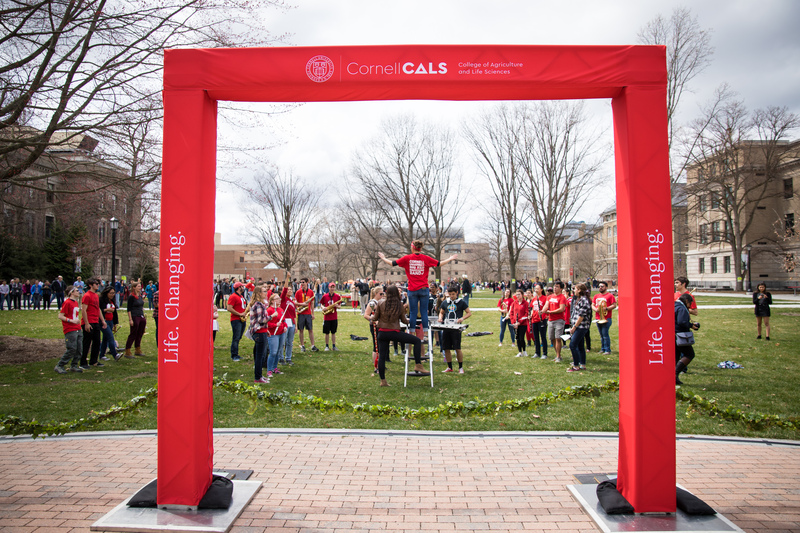 There will be over 35 student group and departmental tables to check out, including Hortus Forum, Cornell Cooperative Extension, Dyson Leadership Fellows, Cornell Botanic Gardens and the Chocolate and Confections Technology Club. Attend student performances, sample Dairy Bar ice cream, pet a sheep or cow, shop local vendors at the farmers market, and much more! The first 500 attendees will receive a free CALS t-shirt or tote bag to tie-dye at the event! If you need accommodations to participate in this event, please contact Hillary Creedon at hwc37@cornell.edu as soon as possible.